DCâ€™s latest full length video, De La Calle/ Da Rua! Created to shine a light on the rich but often overlooked skate scene of Latin America, the video stars Brazilian up and comers Tiago Lemos, Carlos Iqui, Thaynan Costa and established superstar Felipe Gustavo. With a supporting cast of the entire DC global team filmed exclusively in Latin America, as well as regional Latin American team riders, this video is a celebration of the streets we come from! The idea was simple. Â Put together a gnarly video of our insanely talented Brazilian riders and bring the global team along for the ride. Â In a trading places scenario, the Latin American riders filmed all over the globe and the global riders filmed exclusively in Latin American countries. De La Calle/Da Rua is an ode to the streets that bring us all together as skateboarders. Â Back to where it all started. Â From the Streets. 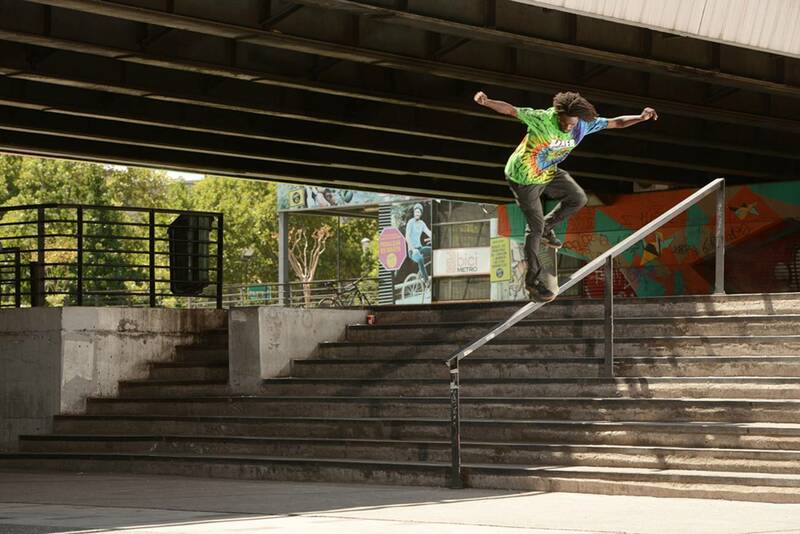 How is the skate scene in Porto Alegre? In the beginning, we had no skateparks. We had nothing, and the spots are pretty rough. Everybody knows this: Itâ€™s kinda sketch, you might get robbed or something. But after two years that I start skating, they made a really good skate plaza (Iapi) in my hometown and then I just tried to go every morning. When did you decide that you wanted to come to America? The first time when I came here was three years ago. I just came to visit a few things for DC Brazil. My first experience was not too good â€˜cause I donâ€™t have any English to express myself, but I feel so good over here. I feel I can learn English and other languagesâ€”I just need my cell phone. 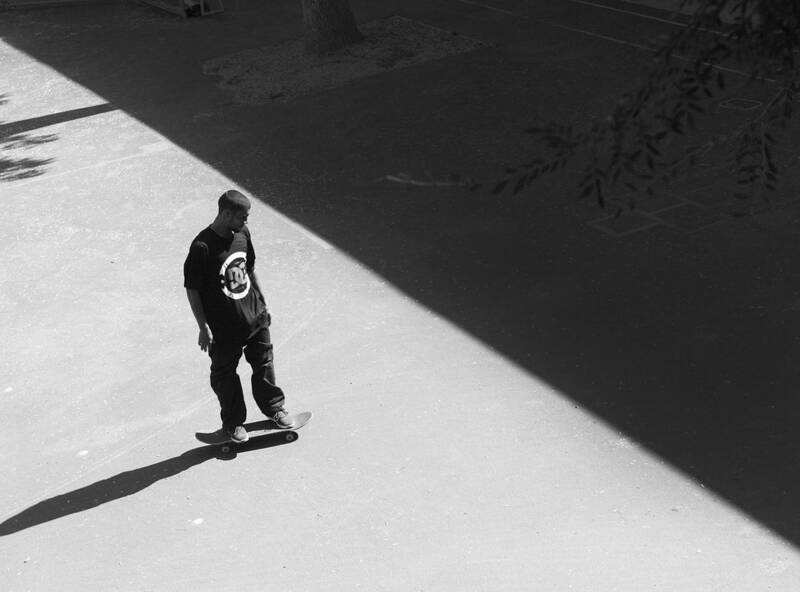 I came back, and DC gave me the support to stay a couple of months, and then I just skate with those dudes and they just like my styleâ€”my vibe, you knowâ€”and they say, â€œYo, I have opportunity for you here. I know itâ€™s not easy, but maybe you can make it happen.â€ And Iâ€™ve just been doing what Iâ€™m doing. Wherever I go, I just try to skate, having fun, and I make it happen. Who really motivated you to skate and pursue skating in the U.S.? All the peoples that just came in the â€˜90s and make this happen and just opened the door: Rodrigo Petersen, Rodrigo TX, Cesar Gordo, all the homies, the rippers in Brazil, you know. When was the last time you were in Brazil? Iâ€™ve been back and forth all the time, because I donâ€™t have a work visa â€¦ I have a tourist visa. Sometimes I donâ€™t go back to Brazil, I go to Europe to keep my skateboarding fresh and keep it on point. [laughs] Because if I go back to Brazil, Iâ€™ll stay with my family and not skate too much. But right now I just gotta keep go everywhere and keep skateboarding all the time. The last time I was over there it was sick! There for a week with my family. 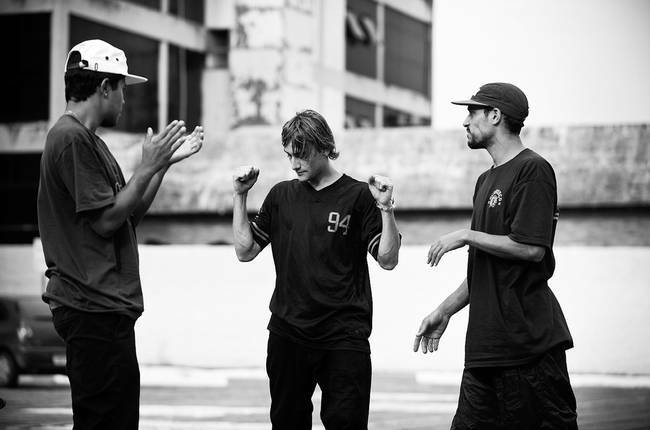 How was the filming trip to Brazil with the whole crew? It was awesome! 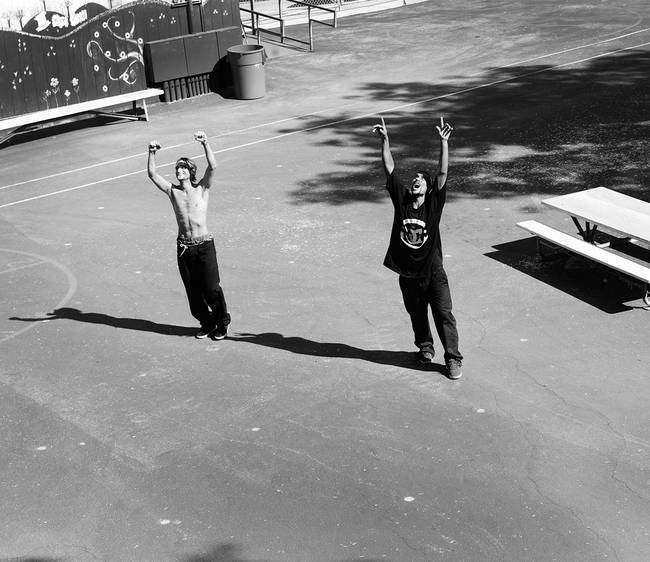 I got to hang out with the dudes from the video, and we got to go to our own cities so we could let everyone know where weâ€™re from and where we grew up skating. I got to go to Carlosâ€™s city, Thaynanâ€™s city, and Tiagoâ€™s city, you know? It was nice to know a little bit of what they came from. Do you see any similarities with the guys who are coming up now and what you have gone through? Oh yeah, for sure! Like, seeing Tiago doing an interview and heâ€™s not speaking that much English, that just reminded me of me four years ago, you know? Not being able to write or get into a conversation, having issues getting in and out of the countryâ€”thatâ€™s just me right there! And itâ€™s dope, too, â€˜cause knowing what Iâ€™ve been through, now I might be the dude to help. â€˜Cause I had somebody to help me out before. So when I see that stuff happening, luckily Iâ€™m there if they ever need my help. Iâ€™ll be there. When did you first hear about De La Calle/Da Rua? Itâ€™s been about a year, I guess. I was actually filming for the Plan B video (TRUE) when I heard about it. They were like, â€œYo, next year weâ€™re going to do a project. Do you wanna be in?â€ I was like, â€œYeah, as soon as Iâ€™m done with the Plan B video.â€ Then I have the LRG video (1947) thatâ€™s coming out two weeks before the DC video. Having those two projects to work on is kinda hard, you know? Plus, all of the people have been filming forever but I had to hop on 1947, like, right after TRUE. So everything I had, I had to hustle for with such a short amount of time to film. Iâ€™m pretty happy with everything I have for the video, but hopefully I can get back to Cali soon to film a couple more tricks. So how long did you live in SÃ£o Paulo? I was born and raised there until I was thirteen I moved to Portugal with my family. 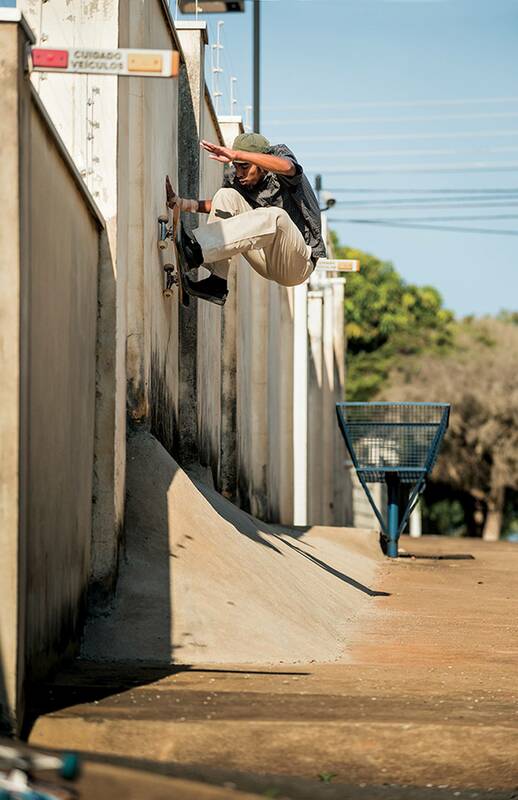 Did you skate while you were in SÃ£o Paulo? Yeah, I started skating when I was nine. I know, like, all the guys like Carlos, Felipe, Tiago from Brazil, from when I started skating. We were from different cities but Carlos and Tiago always used to come to SÃ£o Paulo and go skate together. When did you first meet Felipe and where did you guys meet? I met Felipe when I was in Brasilia. I would skate the skate park I used to skate everyday and then he was skating there and there was a guy, like, taking photos of him and it was his dad and I was like â€œWho is this guy?â€ and he was like, â€œItâ€™s my son Felipe.â€ Heâ€™s like, â€œHey, Iâ€™m a skater,â€ Iâ€™m like, â€œOh, that's sick.â€ And since then we started to know each other and started skating more and more together, but that was the first time. When did you first hear about this video and that you might have a part? Maybe in the beginning of the year because I was hurt and couldnâ€™t skate, maybe like late last year? They said they are doing a video for Latin America but I had surgery on my knee and couldn't skate, you know? I was six or seven months out of skating and they were filming, so when I started skating again in February this year Iâ€™ve been trying to film something for the video. Itâ€™s going good! Where have you traveled so far to film for this video? Barcelona, Italy, Argentina, Mexico, U.S. and I think thatâ€™s it, maybe a couple of other places in Europe, but I think thatâ€™s pretty much it. Oh, I went to Alaska, too. Â Where did you grow up skating? I grew up skating the local skatepark and some small spots by my house. At the time so many kids were skating the park, it almost looked like a contest. At what age did you know you wanted to make skateboarding your life and career? After I got on DC Brazil and started getting more opportunities, I felt people liked what I was doing. When I was sixteen or seventeen, all I wanted to do was skateboard. I watched the videos and I chose that path for my life. 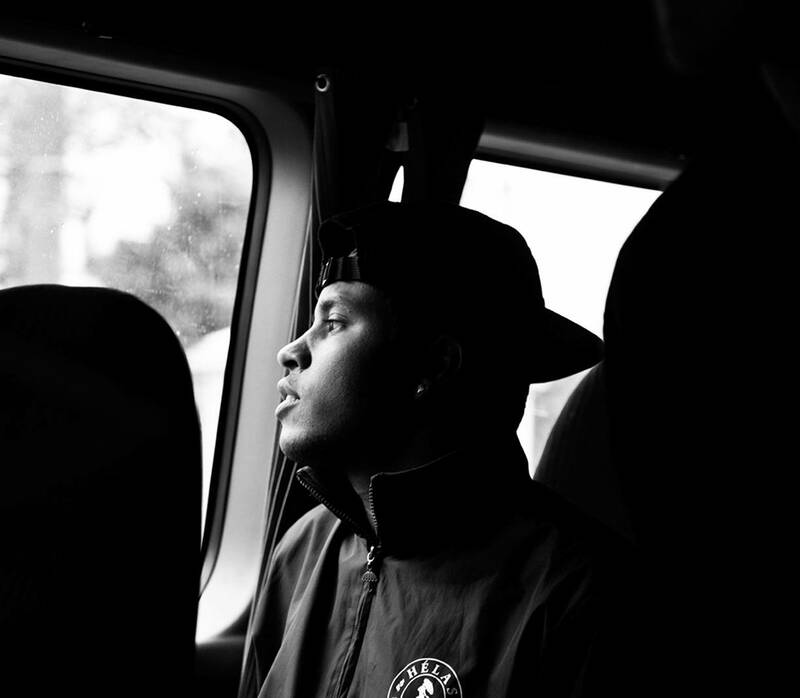 When I started to understand what was going on, I wanted to live that life. It was in my blood. Describe the first time you met Carlos, Thaynan, and Felipe. I started getting some shoes from DC Brazil and I was staying at a friendâ€™s house, which was close to the DC warehouse. I had just arrived in SÃ£o Paulo, picked up some shoes at DC, and I went to my friends house. I was by myself at the house, two hours later the door bell rang and it was Carlos. Thatâ€™s how we met and started getting to know each other. This was some four years ago. I first met Thaynan at a contest, inland in SÃ£o Paulo (state). I think the name of the city was â€œTambaÃºâ€. I was a little kid, and he was very little too and still learning how to boardslide a little rail. I canâ€™t remember the details but we started speaking to each other somehow and thatâ€™s how I got to know him. Felipe I first met in a contest in a town called MauÃ¡. He had just come back from the U.S. and we knew he had been out there ripping. It was a big surprise to see him show up in MauÃ¡. We met, shook hands and started talking, but I had known who he was for a long time before that. How do you feel to be working on the same video project as them? Iâ€™m very happy to be part of this. Itâ€™s a DC video with my friends.Â Weâ€™re super close and friends from sessions. So for me itâ€™s a big pleasure to be part of this. 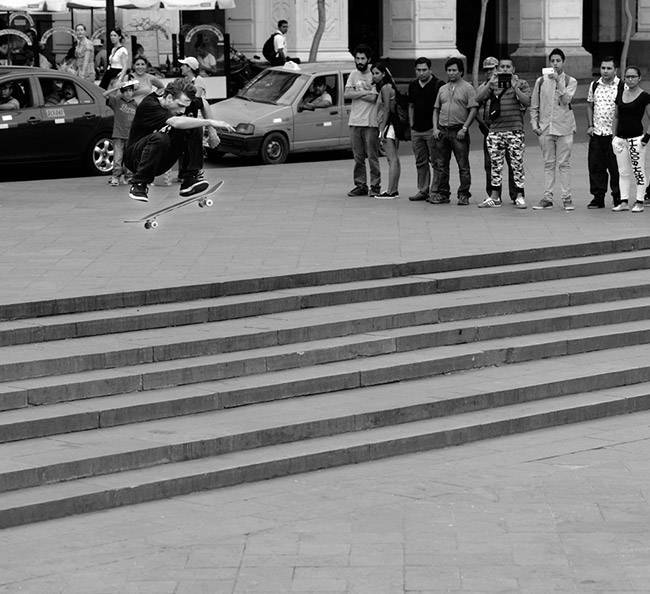 Filmed exclusively in Latin America, Evan Smith, Wes Kremer, Chris Cole, and the rest of our global team came through with amazing footage for "De La Calle/Da Rua". Introducing De La Calle / Da Rua length video , DC proudly highlights the rich but often overlooked skate scene of Latin American. Starring Brazilian up and comers Tiago Lemos, Carlos Iqui, Thaynan Costa and established superstar Felipe Gustavo, also supporting cast of the entire DC global team American team riders, this video is a celebration of the streets we come from. To coincide with the release of the â€œDe La Calle/Da Ruaâ€ video, which celebrates DCâ€™s heritage and roots as a brand created in the streets, is the Lynx Prestige LA. This reinvented Lynx features classic DC styling and increased durability with the addition of a high abrasion printed toecap. Featuring Latin American passport stamp detail and De La Calle/ Da Rua branding, this shoe is at home in streets worldwide.